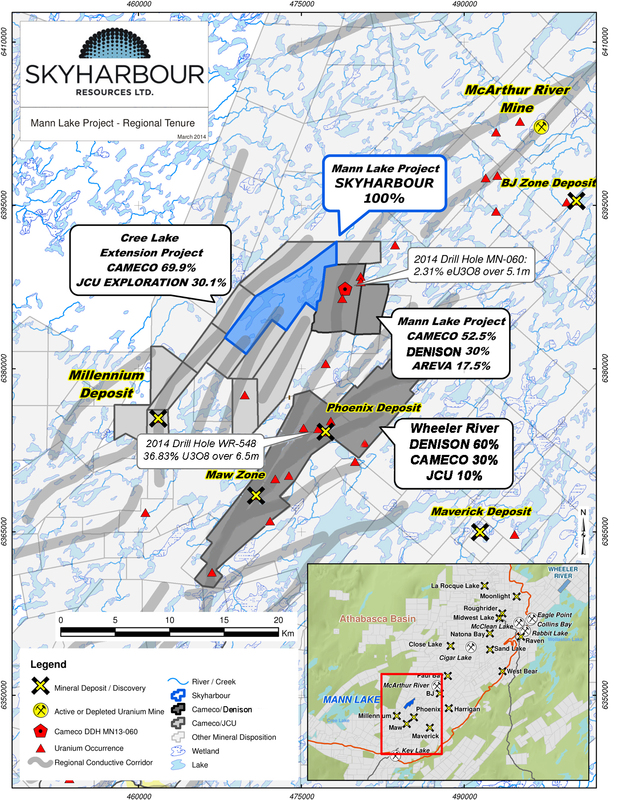 Vancouver, BC - Skyharbour Resources Ltd. (TSX-V: SYH ) (OTC Grey: SYHBF) (Frankfurt: SC1N) (the “Company”) is pleased to announce it has commenced its Phase 1 Field Program consisting of a ground-based electromagnetic (EM) survey on its 60% owned Mann Lake Uranium Project. The property is strategically located on the east side of the Athabasca Basin 25 km southwest of Cameco’s McArthur River Mine and 15 km northeast and along strike of Cameco's Millennium uranium deposit. EMpulse Geophysics of Dalmeny, Saskatchewan will conduct the ground EM survey which will take approximately ten days to complete. The natural source transient magnetotelluric survey will consist of a block of 4 profiles totaling 10 km of coverage using the Internal Field Gradient (“IFG”) technique. 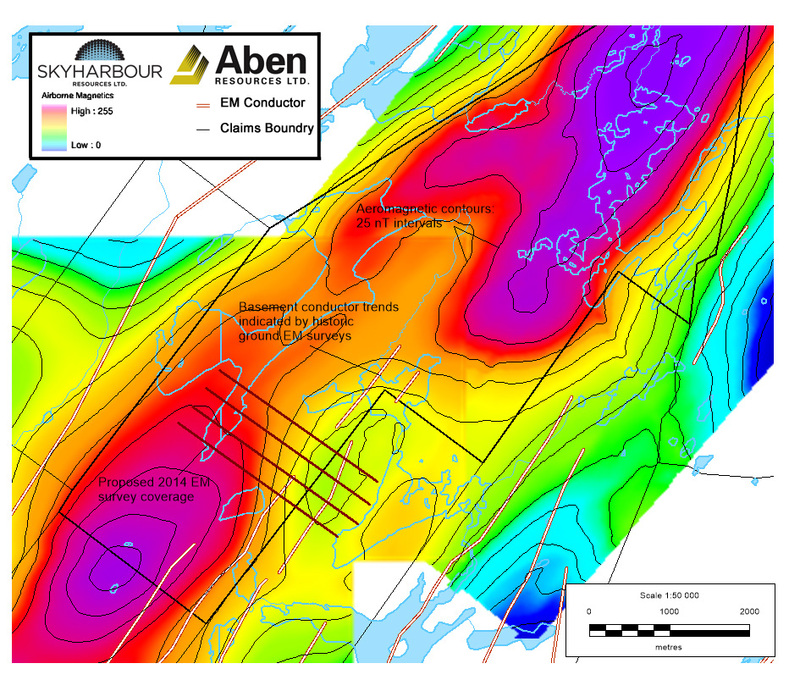 The survey will focus on a zone in the southern portion of the Mann Lake property where a favourable, 2 km long aeromagnetic low coincides with possible basement conductor trends indicated by prior ground EM surveys. The objective is to generate one or more basement conductor targets in a setting proximal to the recent high-grade discovery made by Cameco and International Enexco back in March.